The purpose of the ISO 9001 standard is to ensure that products and services meet customer requirements. Technoflex was recently audited by AFNOR and once again successfully renewed our ISO 9001 certification in its new version. Published in October 2015, the fifth version contains many changes and represents genuine progress. It is more operational than the previous version, focusing on objectives to attain rather than the means to attain them. 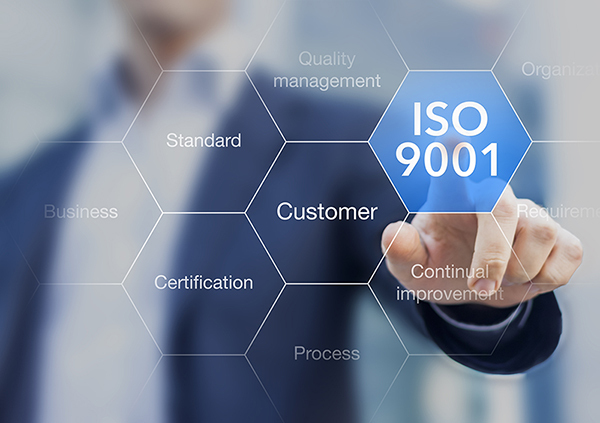 The first notable change in ISO 9001:2015 is that its structure was reorganized to match other international standards. Companies can now integrate elements from standards such as ISO 27001 for Information Security Management or ISO 14001 for Environmental Management Systems. Another new aspect is that the first chapter now takes the company’s context into account. This major change adjusts the standard to the company’s configuration to determine the best Quality Management System (QMS). Additionally, documentation can now be used as a tool to improve performance. Each company conducts its own assessment of the documentation it needs while taking into account customer requirements and the standards in its business sector. As a result, documentation can be used as a communication tool rather than just a library of good practices! In this chapter, the concept of managing risks and opportunities also appears for the first time. It is important to identify them to take the necessary steps to address risks and create strategic opportunities for the company. Another major change: the elimination of the “Management Representative”. This person, previously designated by Management, was responsible for overseeing QMS performance and providing regular reports through the management review. The new version of the standard advances the concept of “leadership” ¹ instead. This major change will more closely involve the company’s Management in the QMS. Management must now demonstrate its commitment by defining the company’s priorities, ensuring that the necessary resources are available to reach objectives, and encouraging its teams to contribute to this approach. The application of this quality standard and the successful renewal of our certification is proof of Technoflex’s active involvement in our quality approach and our commitment to compliance and customer satisfaction.